Microsoft is announced a new version Microsoft Dynamics NAV ERP says Microsoft Dynamics NAV 2013 or NAV 7. The main point to notice in this release is One Microsoft Concept. During this release Microsoft consolidating its business applications into one to provide an all-in-one solution for businesses.This will see the integration of the Cloud, a new SharePoint client, and many others to deliver the most effective business solutions to customers. During this release of new version Microsoft concentrate mainly on the Finance and Top level management to get easy and accurate information and Transaction Speed. Supports to share photos , videos and other files on the notes. Microsoft Dynamics NAV 2013 has added the capability to expose the pages and queries as OData web services, a lightweight, REST-full (Representational Sate Transfer) data services over HTTP, complementing the already available SOAP web services in NAV 2009. 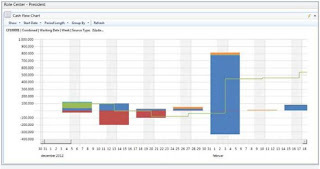 NAV 2013 OData web services in conjunction with Excel Power Pivot, helps to bring in data from various sources, and create Business Intelligence solutions. This new type of web services can be easily utilized to extend Dynamics NAV to consumer devices like smart phones and tablet computers. Microsoft Dynamics NAV 2013 or 7 considered to be the first Microsoft ERP which support fully Cloud. It’s adding the new cloud deployment options and capabilities on Windows Azure – Microsoft cloud platform. By the help of Cloud we can deliver the solutions quicker to customers and more cost effective too..
Two Windows services (NST) become one now in NAV 2013. New SharePoint client and web client have zero footprint deployment, as the pages developed for Windows clients, can be used in the web client and SharePoint clients without any changes (keep in mind, there is some limitation on the web client and SharePoint client). 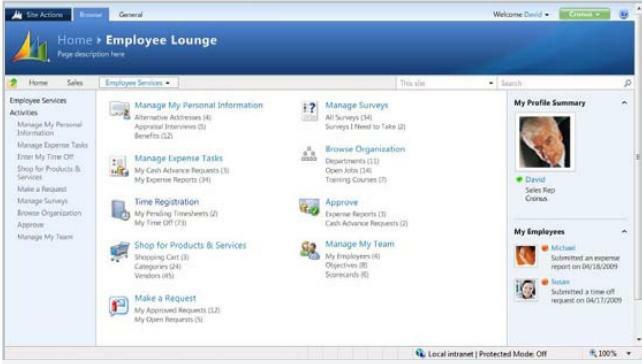 The web client enables users to access Dynamics NAV from anywhere without client installation.You can also leverage the Microsoft SharePoint platform, deploy Dynamics NAV 2013 through NAV Portal Framework (NPF), add NAV web parts on SharePoint or using the URLs to display a page or report on a SharePoint site. This works on both SharePoint Foundation 2010, and SharePoint Server 2010. During the new release micosoft added new object Query. You can easily aggregate the NAV table data by using table joins, filtering, totaling, etc. Query object provides the power of the SQL, but without writing any SQL statements. So with little training, the business users can also create the queries and use them as the database source of the KPI charts like sales per location per product group. The Query resulting dataset can be saved as XML data document programmatically, which allows us to use the xml document to integrate with external applications. You can even expose the Query resulting data as an OData web service as easy as publishing pages or code units as web services. It opens up another opportunity for the business user to create more sophisticated reports in Excel through Power Pivot consuming the Query OData web service. Dynamics NAV 2013 has added a great feature to represent business data in a graphic way by using the Business Chart Control. Users can great ad-hoc charts by using the generic charts by retrieving data directly from single table or multiple tables through new query object. In essence, the business data is more visual, intuitive to the users, so users can easily find the key information they need, and if there is any issue, it stands out right away on the chart. The business chart control add-in assembly allows the developer to extent the charting functionality even further like refreshing the graph in every 5 minutes, create custom charts for displaying complex data and create interactive charts.